Do you ever feel confused, overwhelmed or struggle to keep up with social media? It may be time to look at what you are actually wanting to achieve. 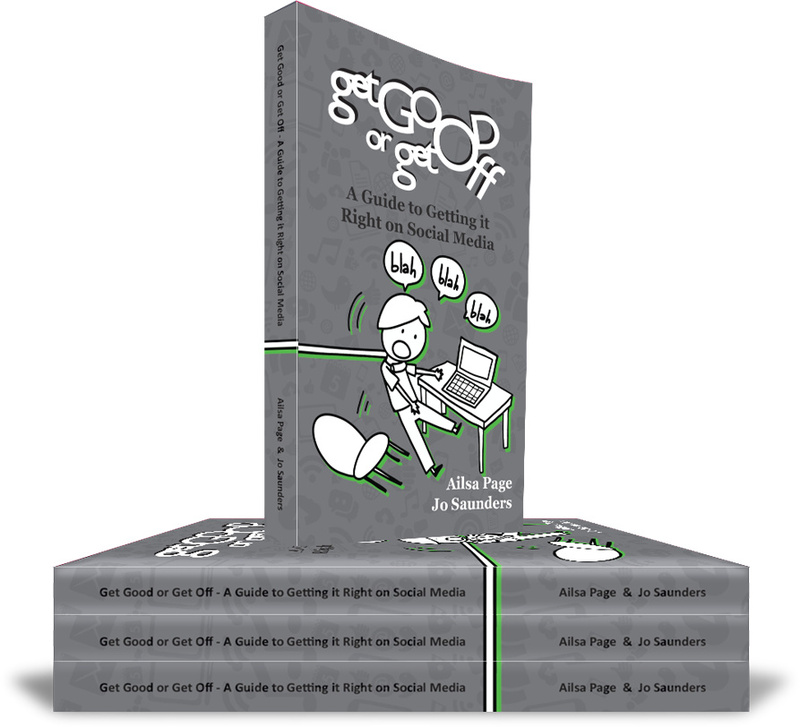 Ailsa Page and Jo Saunders are super excited to announce the release of our book ‘Get Good Or Get Off – A Guide to Getting it Right on Social Media’. This is not a technical book, but a book that is all about strategy. Getting back to the basics behind the platform functionality. Could you be investing time, energy and resources in the wrong platform? Social media is a powerful set of tools, and can facilitate relationships, connect with your customers and build your brand. It can also zap your precious energy, cause stress and lead business owners into a state of marketing delusion. What if it was okay to let certain social media platforms go? Two marketing professionals Jo Saunders and Ailsa Page are on a mission to stop Random Acts of Social Media. It’s time to Get Good or Get Off. This book is your guide to stop feeling overwhelmed and get in control of your social media, so you can relax and focus on your core genius. It will help you with your marketing, social media, time management, networking and business. “Why should you read this book? 1: it is a book, as much as my business is online I am a sucker for print on paper. 2: it has the right balance between actionable steps and entrepreneur stories. Heck Kate Lister is featured, need I say more? If you have enjoyed our book, we would LOVE you to write a review on GoodReads.